ARAB ON RADAR do not wish to attain their own private nirvana. On the contrary, they have surveyed the inordinately weakened music scene of 2001, and while desirous of winning supreme musical enlightenment, ARAB ON RADAR do not tremble at the birth and death of past musical attempts. They have set out for the benefit of the music, for the ease of the music world, out of pity for the music world. ARAB ON RADAR have resolved: "We will become a shelter for the music, the music lover's place of excitement, the final relief of the music of the past, lights of the music world, the guidelines for the music world's means of salvation. Through this you shall all find redemption. ~ Yahweh or the Highway." all the seers of celestial serpents. In 1994, the members of what was to become Arab on Radar were all applying for jobs at Electric Boat, a Groton, Connecticut-based company that manufactures nuclear and Trident submarines. After going back and forth to the company for three days, and taking a series of three tests lasting 17 hours, the members became friends. On the final day of testing, the members went out for drinks to celebrate. After a few beers, they decided to start a band. A girl named Andrea was sitting in the bar at the time that said she would play bass. Ironically, she had just been fired from a clerk position at Electric Boat. After a short period of time, the band received rejection letters from the company. Having no other place to turn for a full-time job (Electric Boat was one of the only gigs available to the uneducated Ñ which the band was at the time) Arab on Radar was born. After some rough beginnings, Arab on Radar finally started to become a cohesive unit that was desperate and downtrodden enough to take an attempt at redefining music. They even went so far as to drop their names from association with the group, because they felt the focus was on the songs and the idea of Arab on Radar, as opposed to the people creating the music. The band's first album, titled Queen Hygiene II, appeared on the Providence, Rhode Island label Herapin Records in 1997. Herapin's owner, Jeff Toste of Laurels and Bossman fame, took an interest in the group. Then, in November of 1998, the Boston-based OpPoPop imprint issued Arab on Radar's second full-length album Rough Day at the Orifice. Andrea left the band shortly after the release, leaving them without a bass player, yet the band decided to continue onward. 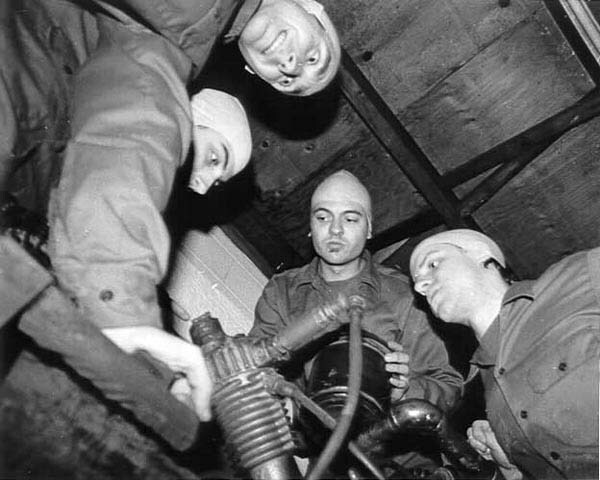 Following their second LP, Arab on Radar signed to Skin Graft in 1999 through their affiliation with Weasel Walter, (known for his work with the label's Flying Luttenbachers and Lake of Dracula) and their east coast tour with Skin GraftÕs Colossamite. This signing led to the April 2000 release of their third full-length, Soak the Saddle, which was produced by Walter. A month after the album came out, the band issued a split 7" on the GSL label with grind-synth rock band the Locust. 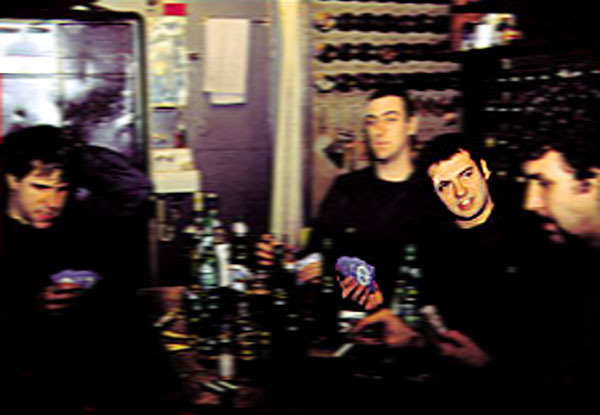 Arab on Radar followed the releases with their first European tour in late summer 2000. ARAB ON RADAR are renowned for their incomparable live shows . Audience members have been known to have SEIZURES, HEART ATTACKS, and HEIGHTENED STATES OF SEXUAL AROUSAL while watching the band perform. Late in 2001, Arab On Radar released their latest album, "Yahweh Or The Highway". Arab on Radar have officially broken up due to irreconcilable differences. Unfortunately, these differences have compromised the creative process. Arab on Radar are forever grateful to all of those who have helped us out over the years. "Soak The Saddle" and "Yahweh Or The Highway".